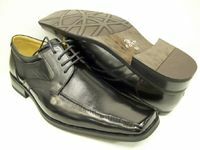 When it comes to Fancy Italian design high fashion dress shoes to wear to the club and we are talking unique looking high fashion styles with those long toe buckle lace up look that are simply jaw dropping when you first see them on someones feet, there are Zota Shoes. 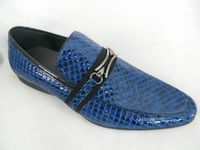 These are the type that you can wear with a Royal Blue Suit. 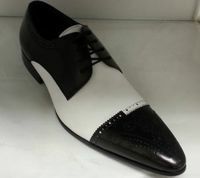 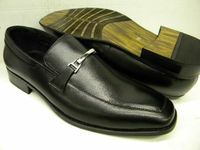 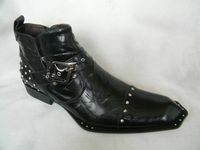 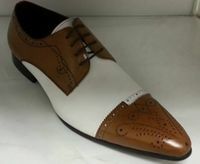 Zota make some of the most outrageous fancy and unique styles of high fashion dress shoes for men designed to be worn in at your favorite club spot with Italian designs that can only be described as captivating and jaw dropping in style and go perfect with fancy fashion Mens Blazers. 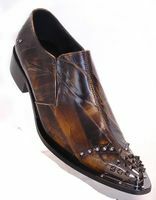 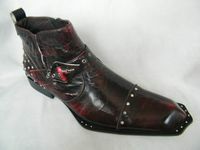 Featuring some of the most unique exotic looks and trimmed with unique materials like horse hair and marbleized fancy leather looks with wrinkle finishes, these are not dress shoes for the faint of heart to wear. 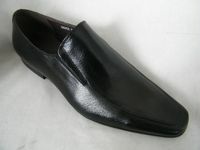 Zota Dress Shoes will keep the crowd at the club guessing what you're going to wear next. 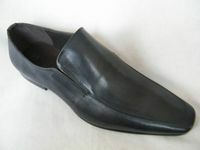 Most of their fancy and unique edgy style dress shoes feature long pointy toe looks that just don't look like other brands offered. 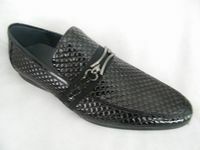 If You love Zota Shoes, you will simply love Fiesso Shoes. 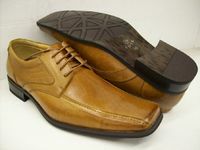 When it's suit time, you can also roll with our Stacy Adams Shoes.